When business is sluggish at construction sites and factories, tools and equipment are returned and hire companies make less profit. The hire industry has a boom-bust reputation built on top of the boom-bust reputations of some of the industries it serves. It may seem like an ambitious project to seek stability among companies that must flex more than the economy but there are firms that have performed well through thick and thin. Some of them may be more diversified and service-oriented than you think. SharePad can help us find them, and discover what makes them special. Approaching an industry for the first time it’s a good idea to get an impression of the companies in it by sketching out their most important features. Hire firms are generally included in the “Business Support Services” subsector. To find them, bring up a list of all the companies listed in London, sort it by subsector, and scan through the list looking at the description in the “Company” tab of the Financials view. To make my list, I also asked some Twitter mates for ideas and they came up with companies in other subsectors: Arena and Northbridge. Arena is in “Recreational Leisure” and Northbridge is in “Industrial Services”. The basic business model of a hire firm is straight-forward. It buys equipment, maintains it, hires it to businesses or individuals, and sells it in the second hand market when it is no longer required. A hire firm can differentiate itself by specialising and offering related services like installation, training and testing. Arena and Northbridge are atypical which may explain why they are in different subsectors. Arena is an events company; it helps design and brand big sporting and cultural events as well as supplying the infrastructure. It has a long and intriguing history that includes supplying the ropes hangmen used right up until capital punishment was abolished in 1960. Power generators, industrial heating & cooling equipment, dehumidifiers and loadbanks. Almost every industrial and agricultural sector, rail and shipping, events and utilities. Air conditioners, pumps, heaters, boilers, dehumidifiers, chillers, and ventilators. Local authorities, retailers, hospitals, IT companies, offices, warehouses, manufacturers, gyms, hotels and airports. Marquees, temporary buildings, scaffolding, seating, furniture & tableware, and temporary ice rinks in winter. Organisers of major sporting and cultural events, for example Wimbledon. Full range of construction & industrial equipment hire from hand tools to heavy plant, generators, heating & cooling equipment and temporary accommodation. A very diverse customer base. No job is too big or too small. Tool & equipment hire. Generally fit-out, maintenance & operation of buildings, not construction plant. Businesses, contractors, tradespeople and DIY customers. Loadbanks, transformers and oil tools. The oil & gas sector, utility companies, shipping, construction and the public sector. Light commercial vehicles, aka white vans. Claims UK’s widest range of tools, equipment and plant, augmented by re-hiring from partner hire firms. Forklift trucks, piling & supports for groundworks, tools, temporary bridges, portable roadways, portable rail equipment, test & measurement equipment. Ashtead stands out because of its size. Its enterprise value – which aggregates the market value of a firm’s equity (its market capitalisation) and the book value of debt, preference shares and minority interests – is over £12bn. By this measure it’s a bigger company than Sainsbury’s. It’s four times bigger than Aggreko, the next biggest company in my list and more than ten times bigger than all the rest. With revenues of nearly £3bn, Sunbelt – Ashtead’s North American operation – is the second largest equipment rental firm in the USA. A-Plant, which earned £441m in the year to July 2017, is the largest hire firm in the UK. Ashtead says its market share in both countries is 7%, which means it has lots of competitors. It may gain some advantage from its scale but no company dominates the industry and smaller companies may be strong in niches. Andrews Sykes, a market leader in air conditioning and a good example of a niche business, may be of limited appeal to long-term investors though. About 90% of the shares in Andrews Sykes are owned by a company affiliated to the chairman Jacques Murray and his family, or directly by the family. Although shareholders have prospered alongside the Murrays for over a decade, the fact that their stake is sufficient to carry any shareholder vote means they could, for example, vote to take the company private – bringing a buy and hold investment to a premature end. Other companies in the list have majority shareholders, but none have more than the 75% of shares required to pass a special resolution at a general meeting; the kind of resolution that might fundamentally change the status of a company. 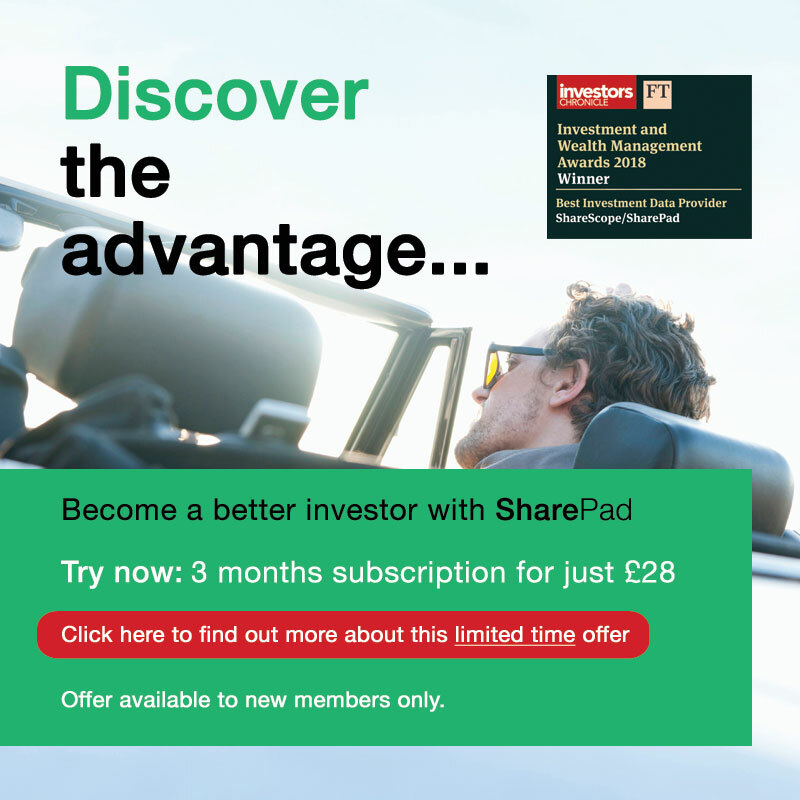 You can find out who the major shareholders in any company are, and how many shares they own, in the DD view of SharePad, which also reports directors’ dealings. HSS and Arena only floated recently on the stock market, so we don’t have enough data to examine their long-term track records. HSS’s short-term track record is dismal, though, which has not done anything to change the dubious reputations of hire firms or new issues. Northgate is also an anomaly. It doesn’t hire tools and equipment; it hires vans. However it shares the same business model, and many of the same customers, especially in the construction sector. Even before we deploy SharePad’s powerful financial charting capability to explore how these firms have performed through thick and thin, we may, depending on your appetite for family-owned firms and new issues, have reduced the field of qualifying investments. We can also form an impression of how specialised the firms are. Ashtead, HSS, and Speedy, seem to be one-stop shops (although Ashtead is a particularly impressive one), while Aggreko, Andrews Sykes, Arena, Northbridge, Northgate and Vp are, to varying degrees, more focused. In my next article, I’ll examine how stable or unstable these hire firms are by examining their profit margins, financial obligations, and profitability over the decade since the financial crisis of 2008, and try to establish what can make a hire firm a reliable investment. It’s not a universally pretty picture, but it’s not all gloom either.